Banksy regrets now shredding up his priceless painting so much more. Banksy! You trouble making rascal! Banksy! You YouTube account having goofy so and so! 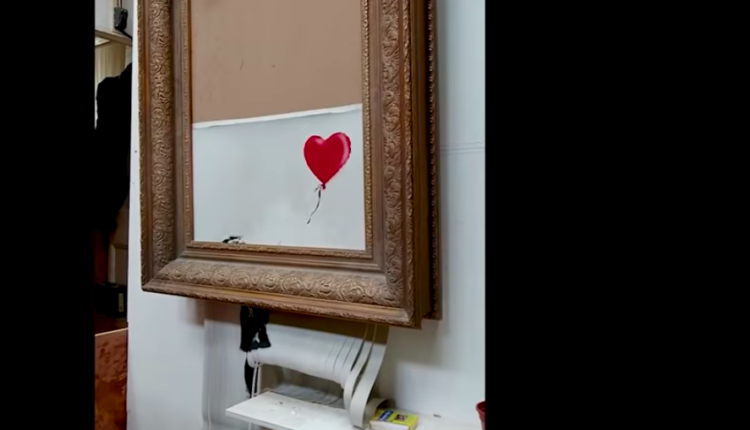 Banksy uploaded a video of his point of view of the now famous shredding of his “Girl With the Red Balloon” painting at the Sotheby’s auction. The painting, after it sold for 1.4 million dollars, you know, enough money to save at least a fifty people’s lives ten times over, went through a shredder in the frame before pausing halfway through and being carried away by two employees. 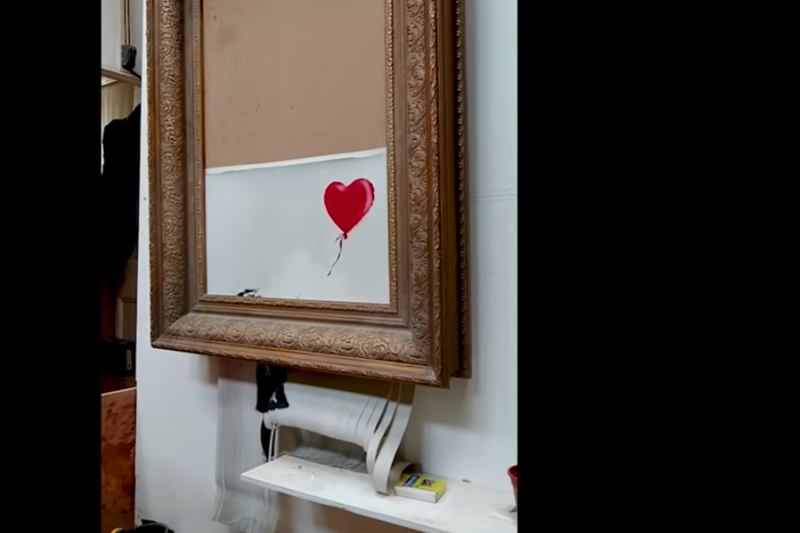 Now, in a video posted by Banksy to YouTube (excited Banksy at Dr. Pimple Popper have something in common at long last), Banksy shows the creation of that frame, shows a secret camera at the auction, and reveals that originally the painting was supposed to be so much more screwed up than that. It was supposed to be shredded completely. As it is now, the painting can be way too salvaged, right? Now it’s even rarer and fancier. Still, here are some things we learned about Banksy in the video: first off, his hands at least are caucasian or white passing, and whatever it is he is wearing can secretly hide a high end remote control perfect for a shredder in the corner. Still, even more interesting in the video — there were a bunch of other girl with balloon paintings he had done. Now, I don’t expect them all to be worth 1.4 million, but is this how we finally get the rich to part with their money? Priceless art that we then destroy? We give the money to charity and just kick a hole in the art in front of their faces before giving the tiny fraction of their fortune that is 1.4 million to fix all of Los Angeles’ public transportation services or whatever? Anyway. The video’s fun, right?